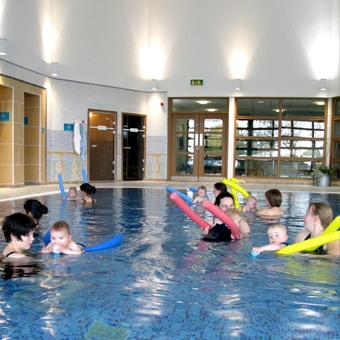 Cedar Court Hotel’s leisure complex is situated in a separate building to the rear of the hotel with free parking for all baby swimmers. The changing areas have lockers, showers and hairdryers, all available to baby swimming lesson attendees. 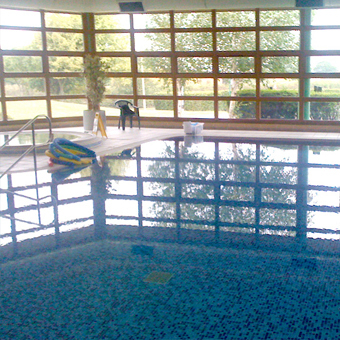 The pool at Cedar Court Hotel, Wakefield is large with a constant depth of 1.2m and at a temperature of 30 degrees. This temperature is ideal for our more active babies and toddlers in the Swimbabes Lessons programme, however for our very small baby swimmers we recommend you purchase a baby wetsuit. Unfortunately there are no spectators allowed at this venue. 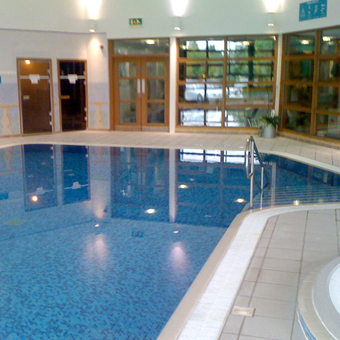 Whilst we have sole use of the pool for our sessions the changing facilities are shared with members and can be a bit cramped at times – we understand this can be a little frustrating but we feel it is worth it for the lovely pool. 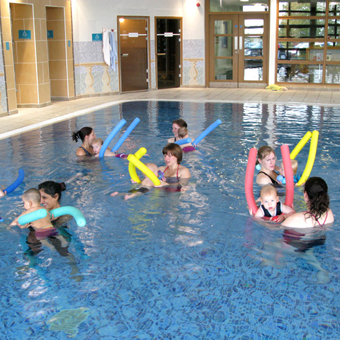 Ruan has been swimming at Swimbabes since he was 6 months old and has loved every lesson. We have a fantastic teacher and makes every lesson so much fun. Cannot recommend Swimbabes enough it’s our highlight of the week.